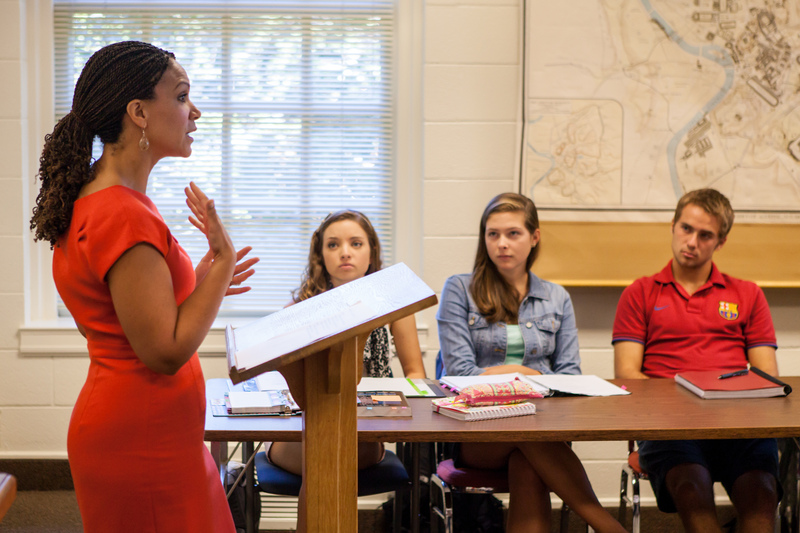 MSNBC television host, award-winning scholar and Wake Forest University alumna Melissa Harris-Perry (‘94) will return this summer to her alma mater as a chaired professor. Host of the popular MSNBC show “Melissa Harris-Perry,” she joins Wake Forest’s Politics and International Affairs department from Tulane University, where she has served as a political science professor since 2011. Known for her creative and dynamic teaching style, Harris-Perry brings practical political and relevant cultural experiences to the classroom. Harris-Perry talked with students in Politics and international Affairs Professor Kathy Smith’s class in 2012. Harris-Perry has been named a Presidential Chair, an endowed position that recognizes and supports exceptional faculty who embody Wake Forest’s teacher-scholar ideal. 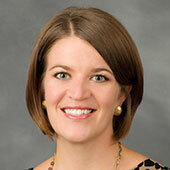 She is the second Presidential Chair honoree, joining Michele Gillespie of Wake Forest’s History Department. In the Fall 2011 issue, Wake Forest Magazine featured Harris-Perry as a prominent alumna “teaching it forward.” Read the story. The Magazine also covered her 2012 address in Wait Chapel as part of the yearlong “Faces of Courage” celebration. Harris-Perry is founding director of the Anna Julia Cooper Project on Gender, Race, and Politics in the South. Named for the foundational black feminist intellectual, activist, and educator of the early 20th century, the Anna Julia Cooper Project supports related programs, courses and research and will move with Harris-Perry to Wake Forest. Harris-Perry is also an award-winning author. Her first book, “Barbershops, Bibles, and BET: Everyday Talk and Black Political Thought,” won the 2005 W. E. B. Du Bois Book Award from the National Conference of Black Political Scientists and 2005 Best Book Award from the Race and Ethnic Politics Section of the American Political Science Association. Her most recent book, “Sister Citizen: Shame, Stereotypes, and Black Women in America” argues that persistent harmful stereotypes—invisible to many but painfully familiar to black women—profoundly shape black women’s political engagement, contribute to policies that treat them unfairly, and make it difficult for black women to assert their rights in the political arena. Having also previously served on the faculties of the University of Chicago and Princeton University, her academic research is inspired by a desire to investigate the challenges facing contemporary black Americans and to better understand the multiple, creative ways that African Americans respond to these challenges. 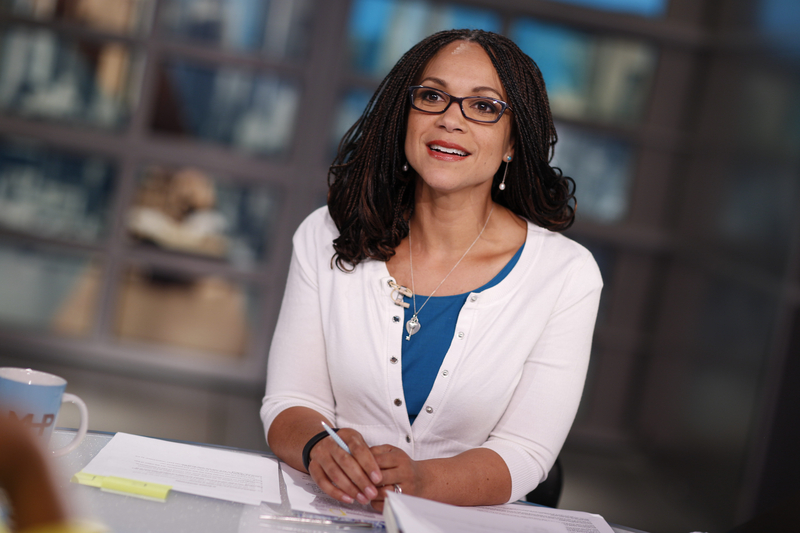 Harris-Perry regularly provides expert commentary on U.S. elections, racial issues, religious questions and gender concerns for a variety of media outlets, and she will continue to host her weekend MSNBC program. Additionally, she plans to maintain her scholarly research agenda and teach an array of innovative courses based on a principle of engaged scholarship aimed at providing students with opportunities that extend beyond the classroom. Harris-Perry received her B.A. in English with a minor in politics from Wake Forest, her Ph.D. in political science from Duke University, and an honorary doctorate from Meadville Lombard Theological School. She also studied theology at Union Theological Seminary in New York.